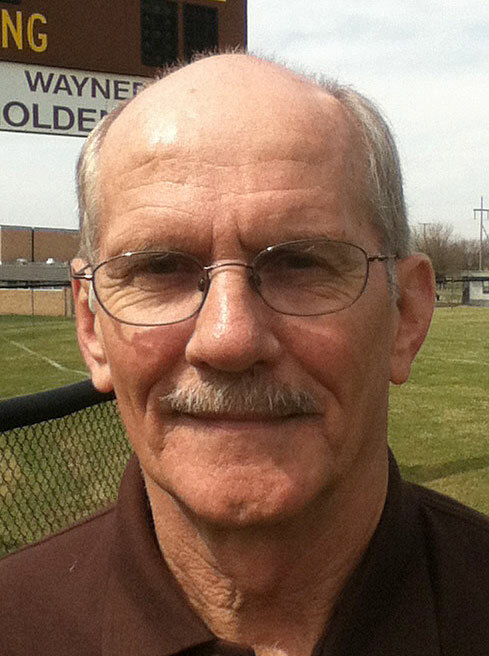 Although he stood just 5-foot-9 and weighed only 145 pounds, when Leroy “Lee” Kuhns took the pitcher’s mound for Waynedale High School from 1966-69, he was large and in charge. Kuhns also lettered once in football and two times in basketball for the Golden Bears, but baseball was his game and, ultimately, his claim to fame. As a freshman, he was installed as the No. 2 starter for the varsity and compiled a record of 6-4, including what would be his lone no-hitter. The next season, he took over as Waynedale’s ace, and he lived up to that billing the rest of his high school career. After going 8-4 with a 2.25 ERA as a sophomore, striking out 98 batters in 84 innings, Kuhns pitched the Bears into regionals his last two seasons. His junior season, Kuhns was 10-3 with an ERA of 0.97 — allowing just 56 hits in 86 2-3 innings — with 86 strikeouts and only 15 walks, throwing five shutouts. He then went out and topped those numbers his senior year, going 11-1 and lowering his already miniscule ERA to 0.77 by allowing nine earned runs all season. Kuhns fanned 97 and walked just 10 and gave up 48 hits in 81 1-3 innings. His lone loss was his last start in a Waynedale uniform, in the regional final as he pitched on back-to-back days and lost to eventual state champion Bridgeport. In Kuhns’ playing days, there were no all-league selections and All-Ohio recognition was just beginning, but today, nearly 50 years later, you can find his name in the Ohio High School Athletic Association record books. His 35 varsity wins is now sixth on the all-time career wins list, which is headed by fellow Wayne County Sports Hall of Famer Dean Chance. In over a half-century of competition, no Waynedale pitcher has won even half that many games, and Kuhns also finished with 357 career strikeouts. In later years, Kuhns played a big role in the success of the outstanding Mt. Eaton Quality Block fastpitch softball teams of the 1970s. Kuhns, a 30-year employee of Campbell Constructions, lives near Apple Creek with his wife of 44 years, Peg. They have two grown daughters, Melissa Lemon and Julie Brown, and six grandchildren.